The failure of former Attorney General Loretta Lynch and the Department of Justice to prosecute former Secretary of State Hillary Clinton for alleged breaches of 18 U.S. Code § 793. Gathering, transmitting or losing defense information (the Code) is an issue that will come to the fore in the 2020 elections. 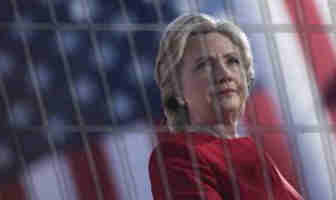 Clinton’s escape from prosecution during the height of the 2016 election campaign has gained a new head of steam following release of the transcript of evidence given to the Committee on the Judiciary, US House of Representatives, in July 2018, by former senior FBI Lawyer Lisa Page. A meticulous investigation undertaken by the FBI into 30000 emails provided by Hillary Clinton to the State Department in 2014 from her private server disclosed that 110 emails in 52 email chains were determined by the owning agency to contain classified information at the time they were sent or received. Eight of those chains contained information that was Top Secret at the time they were sent; 36 chains contained Secret information at the time; and eight contained confidential information, which is the lowest level of classification.